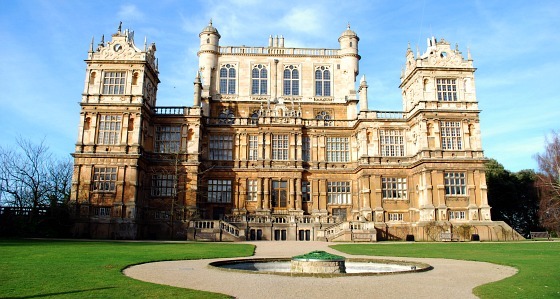 Wollaton Hall in Nottingham is a spectacular Elizabethan house, set in its own extensive parkland. Take some time to walk around the grounds to really get a feel for the place, but watch out for the infamous deer which roam around the park freely. There are two museums at the hall and on a warm sunny day, there’s nowhere better within the city to while away some time. 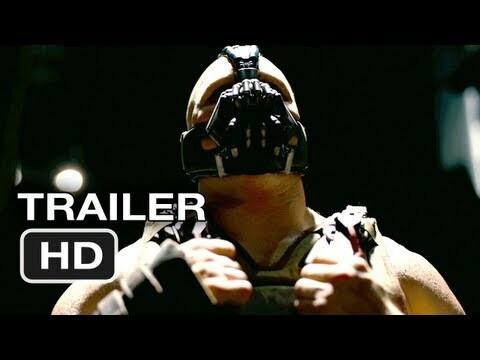 The hall has many claims to fame, but the most recent is that it was used as Wayne Manor in the 2012 Batman movie “The Dark Knight Rises” starring Christian Bale. Inside the hall there are stuffed animals everywhere as this is the city of Nottingham’s Natural History Museum. We were far more interested in the building itself though and there are some areas like the main hall pictured above which have been restored to look how they would in the time when the Willoughby family lived here. There is also an introductory audio visual film which gives some of the history of the hall. This place is an absolute gem, and it felt like the city council didn’t known what it had got. We wanted the whole place to be laid out as a country house! It seems such a waste that so much of it is a museum which could have been housed in any building. We would also have liked to see more of the hall’s rooms. Nevertheless, it’s a lovely place to visit and the Batman connection will surely bring many more visitors. 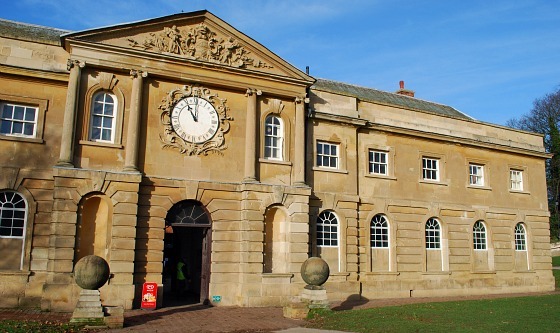 The stables block, pictured above is home to the cafe but also the Nottingham Industrial Museum. 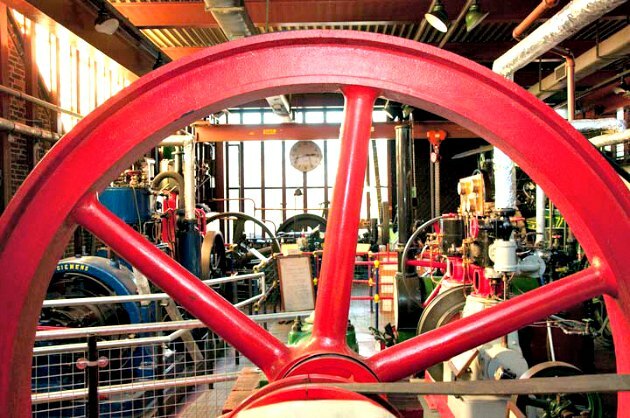 Here you’ll find a working steam engine (on steaming days) and some fascinating bits of history from Boots and Raleigh amongst others. Inside there is a whole host of things made in Nottingham over the years including historic cars, motorbikes, push-bikes and even radios. There is a small adult admission fee of £2 (2017 prices). 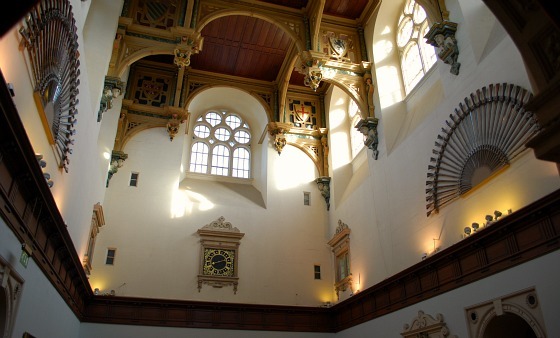 Wollaton Hall is open daily from 11am to 5pm (April to October) and 11am to 4pm (November to March). Admission to the hall and park is free but a car parking charge of £2 for 3 hours or £4 per day applies.